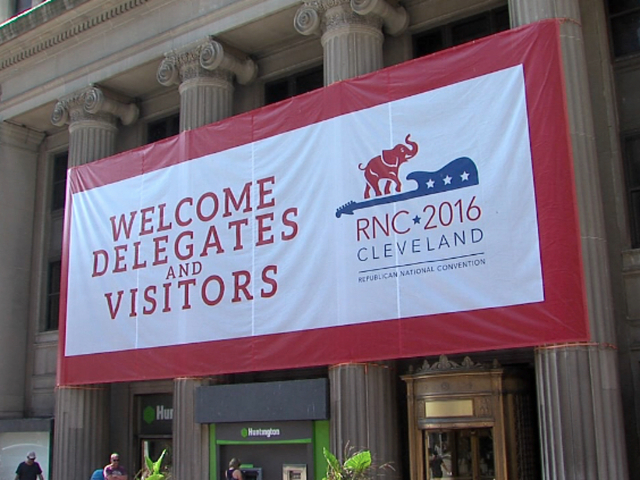 Cleveland RNC details in the homestretch; will the city be ready? The Cleveland Host Committee is working on the final details for the Republican National Convention, and it believes the city will be ready on July 18. Cleveland Host Committee CEO David Gilbert is leading the massive RNC effort, which is expected attract 50,000 visitors, generate 250 million in direct spending and more than 400 million in economic impact. Gilbert told newsnet5.com all major city beautification projects have been completed on-time, with smaller projects like 1 million LED lights and 250 planters added to the downtown area in the final stages. Gilbert explained 3,000 volunteers will be need to fill 8,000 four hour shifts during the RNC, with the city still needing about 300 more volunteers within the next two days. The Cleveland Host Committee will be accepting volunteer applications through Thurs. July 7 on its website 2016cle.com. "We will have greeters that would be trained to not only have a smile and welcome people to Cleveland, but to provide them with information," said Gilbert. "As some of the security zones have been set we've had to tweak some of that." Gilbert said the committee needed to raise 64M to cover RNC expenses and has so far met 90% of that goal. Gilbert doesn't expect there to be any issues meeting RNC expenses, and said dealing with lawsuits and audits from the IRS and the Federal Election Commission would take about 18 months to complete once the event is over. Gilbert believes the committee did an excellent job securing the needed hotel rooms to accommodate guests and 15,000 members of the media who will cover the RNC. "We had to go out, once we were awarded the convention, and contract about 16,500 hotel rooms," said Gilbert. "More than 90% of those within a 35 mile radius of downtown." Gilbert estimates he's led more than 3,000 meetings in the past 18 months to get ready for Cleveland's week in the worldwide spotlight. Gilbert has some advice for people who work downtown the week of the RNC. "Think in terms of what are alternate routes," said Gilbert. " So if they normally take Ontario or East 9 Street when they get off the freeway, figure out how to get downtown off of 14 Street or 22 Street or off the innerbelt, and they'll be able to get to every place they need to go."